Bought this car as a running 99 turbo combi coupe that needed attention. Original colour was cardinal red but was sprayed grey at the time i bought it. Had wrong EMS wheels and wrong 900 doors fitted same as 900 tailgate. car fitted with a facory steel sunroof and otherwise original. car in restoration to its former glory. 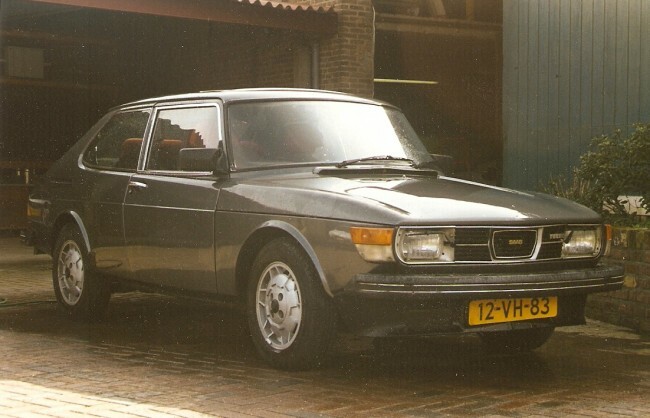 This is a Dutch Saab 99 Turbo with date of first registration in Holland of May 1978.